After studying Rías Baixas in the afternoon of the first day of The Wine Academy of Spain’s Spanish wine course, we covered the overarching area of Galicia, which Rías Baixas is part of, and The Basque Country. We didn’t taste any additional wines from this region and there weren’t any videos on the area, so we rushed through the slides on this unit fairly quickly. 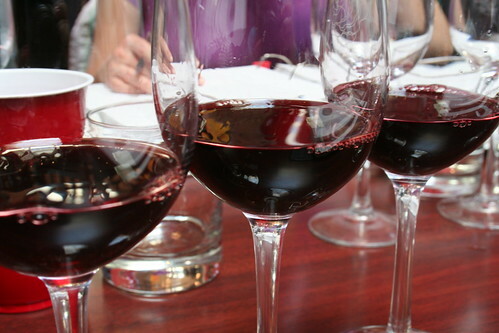 After Galicia & the Basque Country, we learned about the mostly red wine region of Murcia. Jesus Bernard, our faculty member from The Wine Academy of Spain, explained that the most dominant red grape of the region is Monastrell (also known as Mourvèdre). 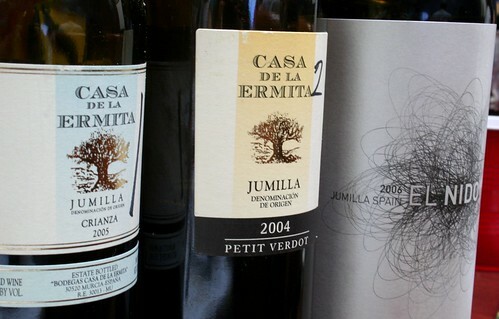 However, 2 out of the 3 wines we tasted were actually blends with Monastrell. Overall, while the wines we tasted from this region were good, they tasted less distinctly “Spanish” and more “international.” The lack of Spanish character in the wines was surprising, as we spent a significant amount of time talking about them. That said, Robert Parker’s rating for the last wine in our tasting line-up—the 2006 El Nido—probably contributed to the length of the discussion. The nose didn’t match the taste, as it made me think there would be more…while the wine is about average, at over $100, for me, the quality doesn’t match the price point. Very different, but really enjoyable.